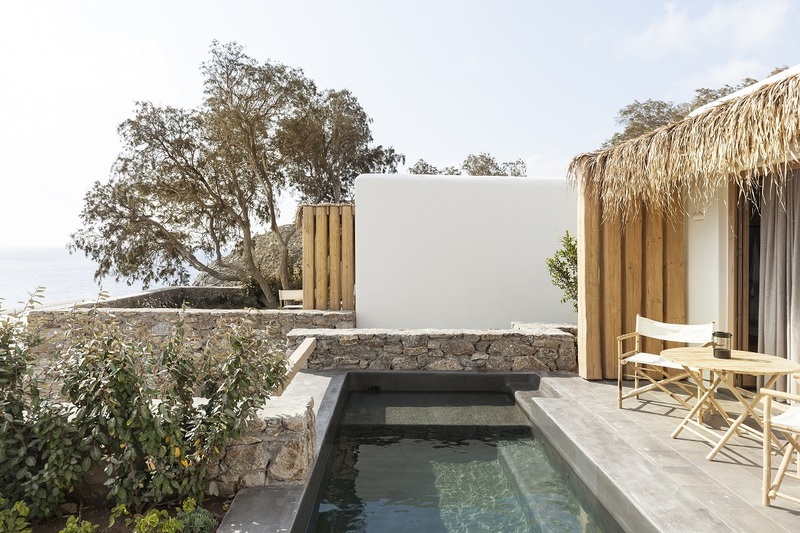 Located on a picturesque cliffside over Kalafati Beach, The Wild Hotel, owned by Interni, will offer a design-led retreat, featuring 40 suites and villas inspired by the colours and lines of traditional Grecian architecture. Set in a natural amphitheatre, the hotel is home to an infinity pool with views across the Aegean Sea, a private beach for residents and a restaurant – The Taverna – serving classic dishes from the Cycladic Islands. 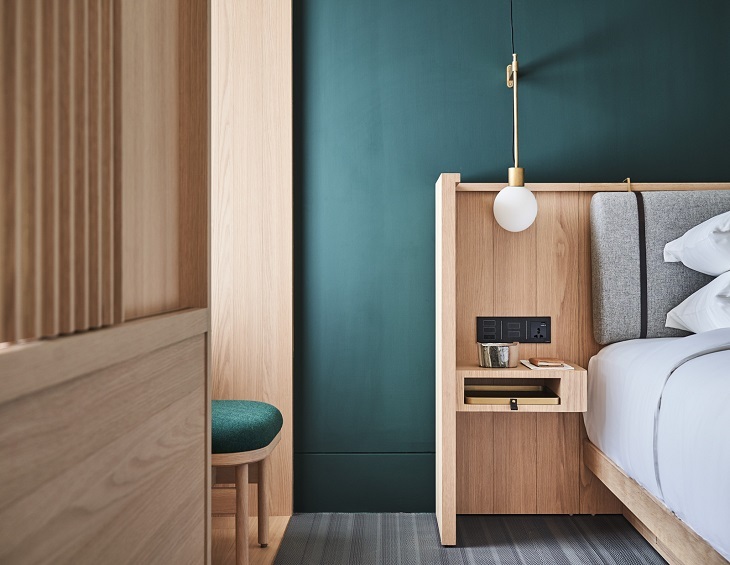 The Wild Hotel is a collaboration of design between Alexandros & Filippos Varveris and Sofia & Matina Karavas, who are both co-owners and architects of the project. The Wild Hotel offers an unparalleled location on the island of Mykonos; situated on a tip of the island which remains raw and pure, the hotel is situated next to a tiny beach-front village once inhabited by the bravest fishermen of Mykonos, referred to as ‘the wild ones’ by locals. The village is now a tranquil, picturesque port that imbues the area with a rich Cycladic history. Spring 2019 will also see the launch of Ftelia Beach Club, the sister of The Wild Hotel, located on the opposite side of Mykonos Island in the much-loved Ftelia Bay. Ftelia Beach Club will showcase the designs of up-and-coming Italian architect Fabricio Casiraghi. The club’s aesthetic was inspired by the famous resorts of the 60s and 70s in Southern France and coastal Italy, seamlessly blending Mykonos’ buzzy cosmopolitan vibe with the natural beachfront surroundings. Ftelia Beach Club will offer a Mediterranean menu with an emphasis on local produce. 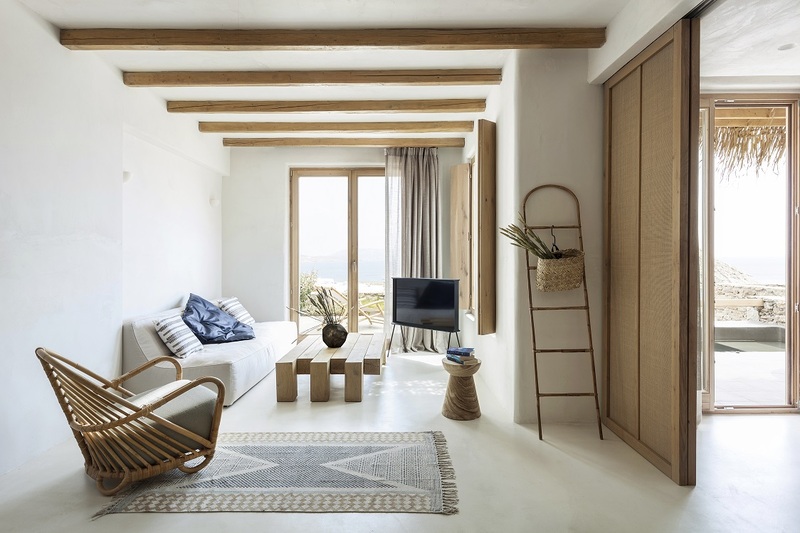 With these two new properties, The Wild Hotel and Ftelia Beach Club, Interni Group aim to merge the traditions of the island with new cosmopolitan thinking to offer something fresh and different for Mykonos. 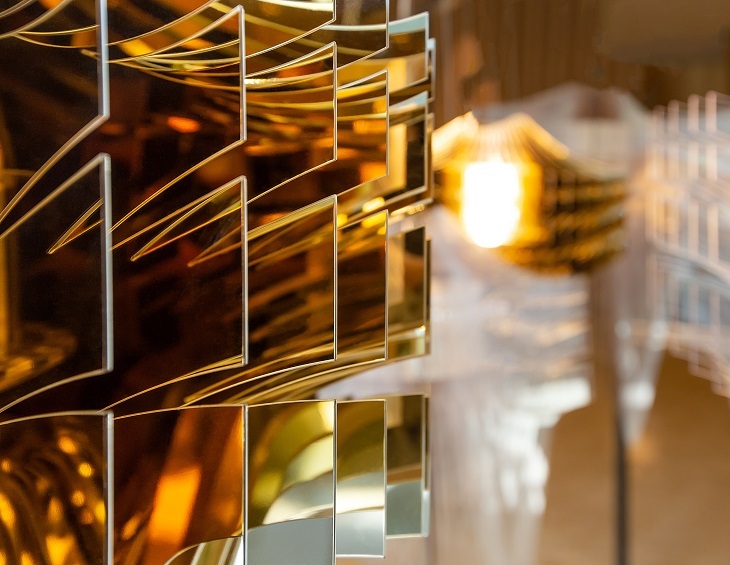 The ME Milan Il Duca hotel has collaborated with Zaha Hadid Design to host an exhibition during Salone del Mobile 2019 at Milan Design Week. In honour of the ME Dubai, due to open in December 2019 with its interiors designed by Zaha Hadid, ME by Meliá is dedicating the month of April to the architect and designer, continuing the hotel brand’s commitment to supporting excellence in design. Investigating the evolution of Zaha Hadid’s formal language, the “Zaha Hadid Design at ME Milan Il Duca” exhibition explores the interrelated fields of architecture and product design. As a singular composition, it presents a variety of works – limited edition furniture pieces, lighting objects, vases and other accessories – manufactured in materials that include glass, marble and ceramics. “Zaha Hadid Design at ME Milan Il Duca” is a celebration of the studio’s diverse repertoire of designs realised in collaboration with some of the world’s most renowned brands as well as Hadid’s signature collection. “Zaha Hadid Design x ME Milan Il Duca” exhibition is open until Tuesday 30 April 2019. Originally designed by Aldo Rossi, the ME Milan Il Duca hotel is located in Milan’s Piazza della Repubblica, at the heart of the action in Milan this week. 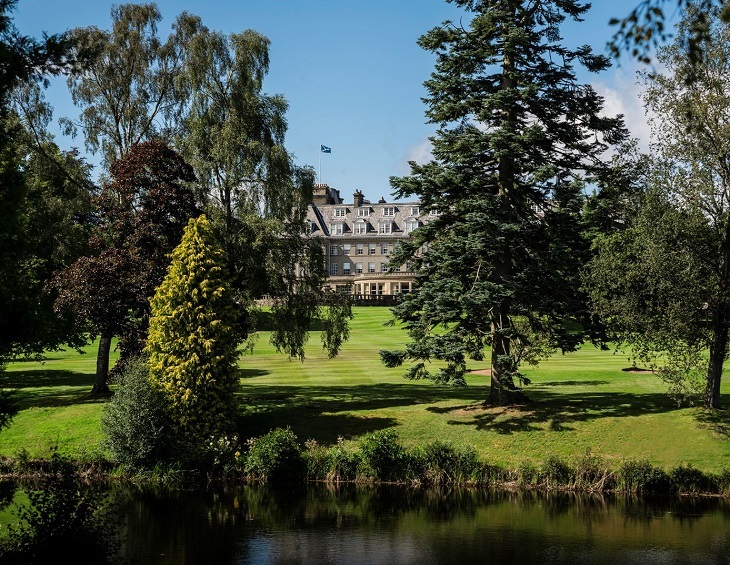 With the aim to bring back the glamour and decadence of fine dining experiences of the 1920s and ’30s, Gleneagles will in May 2019 unveil the relaunch of its famous restaurant, The Strathearn following a design transformation by Ennismore Design Studio. The space – which has welcomed a host of famous faces over the decades, from Vivien Leigh, Sir Laurence Olivier and Sir Sean Connery, to John Travolta, Bob Hope and Her Majesty The Queen – is to unveil a new look inspired by an era when glamorous socialites would travel in style from London to Gleneagles to enjoy summer seasons of country sports and decadent dining. The new designs will celebrate that elegant spirit through a setting that evokes the theatre of the outdoors, the beautiful flora and fauna of Scotland. The creation of a stunning mosaic-floored orangery will offer beautiful views of the estate and the Ochil Hills across the seasons, while a new stage for musical performances will complement the elegance and drama of the rich décor – evocative of first-class carriage journeys in the early twentieth century. A new kitchen-style breakfast servery will also double up as an occasional private dining space – breathing fresh life into the area that housed Gleneagles’ kitchen in the 1920s. Dinner at The Strathearn will be an even more decadent affair, with traditional gueridon service from bespoke dining trollies bringing excitement and energy to the room as a selection of classic dishes are finished at the table. Personally attending each table, the team will add a theatrical flair to the evening, as they effortlessly carve Scottish smoked salmon, prepare and dress a salad, or flambé a ‘Steak Strathearn’ on request. Now under new owner Ennismore, Gleneagles has enlisted the skills and expertise of some of the UK’s most acclaimed designers including David Collins Studio, Timorous Beasties, Macaulay Sinclair, Goddard Littlefair and Ennismore’s own in-house design studio – with the aim to create designs and spaces that celebrate the rich, glamorous heritage and beautiful architecture for which the hotel is famed. The latest redesign announcement follows Gleneagles’ Conor O’Leary winning Hotelier of the Year at The Brit List 2018 for his unmatched leadership style. One of the many treasures of being a young design editor comes the morning after the night before. Waking up fresh-faced, bright-eyed and bushy-tailed wouldn’t be possible if I didn’t feel as if what we achieved last night at Meet Up London was nothing short of being exceptional! Ever since I arrived at Hotel Designs in May of last year, I have taken tremendous pride in the fact that I have the tools and the ability to help open up the integral relationship between our readers and our brand. While the industry gathered at Minotti London for Meet Up London last night, I realised that our relationship opened up even wider when we welcomed a large handful of our industry’s rising stars. With the aim to bridge the age gap in international hotel design, we announced our 30 Under 30, which is made up of incredible talent. From those quickly climbing the ranks within leading design and architecture firms to others who are bravely going it alone to set up their own studios, all finalists in our 30 Under 30 have proven themselves to be creative geniuses. Although by the contents of our newly unveiled 30 Under 30 the future is looking bright, it was put upon James Soane from the London School of Architecture to address the elephant in the room when looking into the future of hotel design as he took the stage as our headline speaker at the event. “The hotel industry has a great opportunity to demonstrate alternative sustainable ways of designing, living and adapting,” he said during the engaging presentation. Soane’s passion balanced with knowledge took what could have been seen as a dry lecture and turned it around to be an alluring and healthy debate with great relevance. While we are on the topic of talking about great opportunities, welcome to the new Hotel Designs. On a fresh website, all of our conversations, opinions, news and features are open for all to enjoy. This new platform is the result of the largest rebrand the title has ever seen. Our new slogan, “defining the point on international hotel design,” shows that we are prepared more now than ever before to cut through the noise in order to give our readers quality, relevant and engaging content. To mark the new era of Hotel Designs, we’ve dedicated the first sentence of our new chapter to a true design icon. Isle Crawford, the founding Editor-In-Chief of Elle Decoration turned award-winning interior designer, said in a recent Netflix documentary Abstract: The Art of Design: “Design thrives on restrictions.” Crawford has metaphorically cut the silk ribbon by being the subject of the first article to be published on the new website. And now it’s time to put all of our visions and ideas into practice. Subscribe and join us on our journey, complete with regular check ins, as we take international hotel design up a notch or two. Every now and then, the world is introduced to a design icon who, through making their visions into reality, helps to shift attitudes by challenging conventional forms. For Ilse Crawford, the founding Editor-In-Chief of British Elle Decoration, the design world was somewhat lacking reference of everyday movement when she decided to step into the shoes of her designer readers. The defiant leap from narrator to creator came one year later after she signed off as Editor-In-Chief. Having completed her mission to launch a contemporary magazine for a wide audience, Crawford worked for Donna Karan and getting her hands dirty, she became a maker. 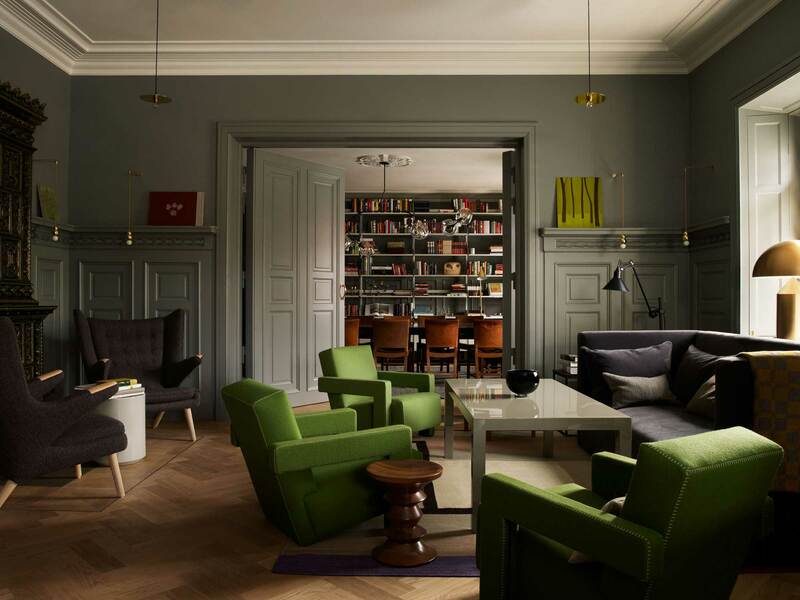 Crawford’s first hotel interior design brief was presented to her immediately after she left Elle Decoration when she was asked to convert a stately home for Nick Jones of Soho House into what we now know of as Babington House. “Nick originally wanted this place to look and feel like a stately home, but I was very clear that that’s the last thing it should be,” Crawford explained in Abstract: The Art of Design. “My proposal was that it should be a very informal place where you could just treat as if it was your own, like a family house of a friend where the parents had gone away and left the key the drinks cabinet.” Breaking the rules of the time, Crawford’s design stole the headlines and her journey as an interior design began. From the rural British countryside to the bustling scene of Manhattan, Crawford’s skillful and sensitive approach was called upon to create the first outpost of Soho House outside the UK. The project saw the transformation of a former industrial building in the Meatpacking district into a 27-key design hotel, including bars, a restaurant, cinema and rooftop pool. Soho House New York opened to become the definitive third space for the transatlantic media crowd. As someone who truly lives and breathes the industry in which she used to curate on the pages of Elle Decoration, Crawford wears many hats as a modern designer. 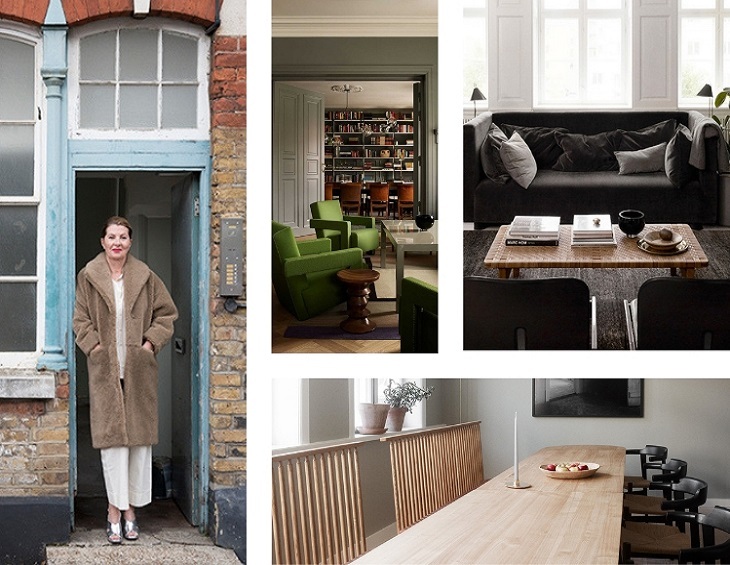 In her own admission to Interior Design magazine, she confessed that “the line between my work and life is thin to non-existent.” Working from her London studio, which is directly below her home, Crawford’s knowledge in interiors has allowed her to extend her portfolio to include product design. 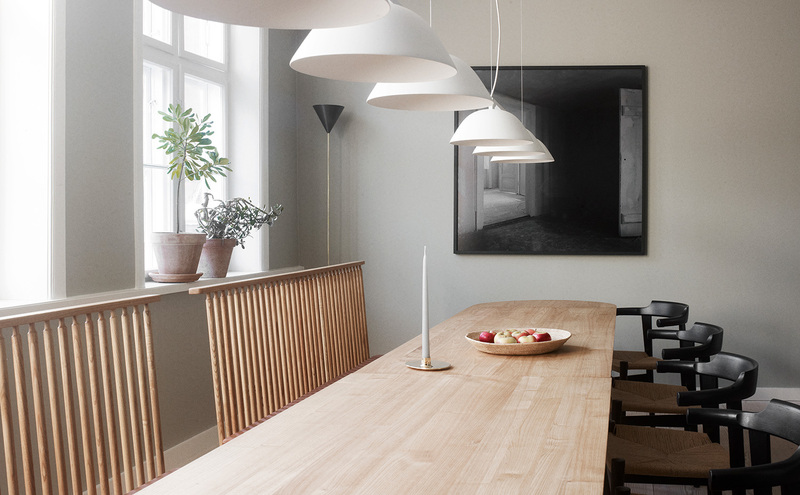 The Sinnerlig Collection for IKEA includes 30 pieces of of furniture, lighting and tabletop collection. “They explore natural materials and are simple,” Crawford explains on her website. “They are helpful, background pieces, not showstoppers.” Tactile materials such as cork, ceramic, glass, seagrass and bamboo appealed in the design concept because they felt as good as they looked. The Together Table was another design that challenged existing products on the market. Confronting the design of conventional four-cornered tables, Crawford simply rounded the edges of the table, which as a result naturally invited people to move around it more freely. The Ilse Sofa was the result of a collaboration with British furniture brand George Smith. The height and depth of the product’s arms and back were calculated and tested to ensure that the sofa supports as many sedentary habits of modern life. “We like to think of it as a room within a room,” Crawford explains when describing the tactile experience. Two years after she was awarded an MBE in recognition for her work in design, Maison&Objet awarded Crawford the prestigious title of Designer of the Year 2016. Since then, the modest designer has continued to evolve the hospitality landscape with completing projects such as The Lounge Plaza 66, Cathy Pacific’s iconic airport lounge in Hong Kong and the warm and inviting home-from-home that is Bukowskis. Crawford’s philosophical visions to challenge the norm leaves a clear path for young designers who aspire, like her, to make a difference through design. As the founder of the department of Man and Wellbeing at the Design Academy Eindhoven, Crawford’s mission as a visionary is explained on her website as “nurturing a new generation of students to always question why and how their work improves the reality of life.” Her philosophy to improve the future through considered design is what makes her the leader she undoubtably is today. Her work – and her working style – is a simple, effortless reflection of the questions she asks of the designs of today and the possibilities that are garnered by second guessing what the future should look and feel like. 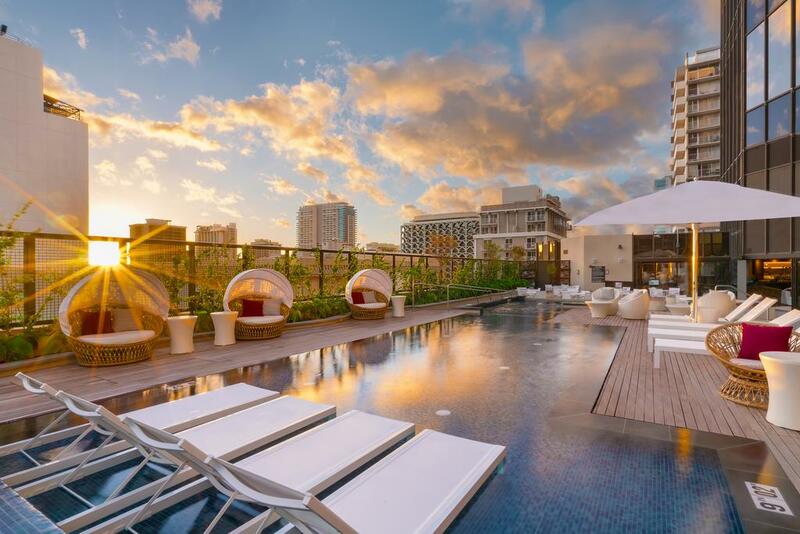 Hyatt announces brand growth in the U.S.
Hyatt Hotels Corporation has announced significant growth in the U.S. for its Hyatt Centric brand portfolio, including development plans to build Hyatt Centric hotels in downtown Memphis, Tenn., downtown Nashville, Tenn., and downtown Austin, Texas. Designed for a growing segment of savvy explorers seeking shareable moments to inspire others, the Hyatt Centric brand currently has 26 properties across 11 countries, including Chile, France, India, Japan, Spain and more. The 227-room Hyatt Centric Beale Street will be developed through a joint venture between affiliates of Hyatt and Carlisle Hotels, Inc. The hotel will be developed within Carlisle’s One Beale Street mixed-use project, to be located at the intersection of Beale Street and Front Street, just one block east of the Mississippi River and Riverside Drive. In addition to 227 guestrooms, Hyatt Centric Beale Street Memphis will feature a rooftop lounge, offering breathtaking views of the city’s skyline and Mississippi River, as well as a ground floor lobby containing the hotel restaurant, bar and fitness center. Just off the lobby, guests will also enjoy an open-air courtyard with an outdoor swimming pool and fire pit, plus more than 14,000 square feet of meeting and event space located on the other side of the courtyard within the historic Wm. C. Ellis & Sons Ironworks and Machine Shop. Hotel construction is slated to begin in the second quarter of 2019, with an anticipated opening date by the end of 2020. Local Memphis design house, HBG Design, has been engaged for the hotel project. Hyatt also announced a joint venture with C. B. Ragland of Nashville to develop Hyatt Centric Downtown Nashville, a 252-room new build with a restaurant, bar, amenity deck with a rooftop pool, 4,500 square feet of meeting and event space and 4,000 square feet of leasable retail space. Expected to open in Q2 2021, the hotel will be managed by Hyatt. Hyatt Centric Downtown Nashville will be located within the entertainment district of Music City, one block from Ascend Amphitheater, three blocks south of the city’s famed lower Broadway and four blocks from Bridgestone Arena and Nissan Stadium. Adventurous guests will be within walking distance of the Schermerhorn Symphony Center, Tennessee Performing Arts Center and the Ryman Auditorium. The 233-room Hyatt Centric hotel in downtown Austin will be a new build, wholly owned by Hyatt. Centrally located on Congress Street, the hotel is expected to open in mid-2020 and will be near the State of Texas capitol building. A passionate team with local expertise will recommend to guests shareworthy experiences all along Congress Street, a must-stroll for visitors and locals alike. These developments are in addition to recently announced Hyatt Centric hotels in Los Angeles’ Koreatown neighborhood, near Rittenhouse Square in Philadelphia and near downtown Portland, Ore. Further expanding the Hyatt Centric brand’s global footprint, these developments will join newly open hotels in Midtown Atlanta; Bangalore, India; Goa, India; Lima, Peru; Brickell, Miami; and Santiago, Chile. 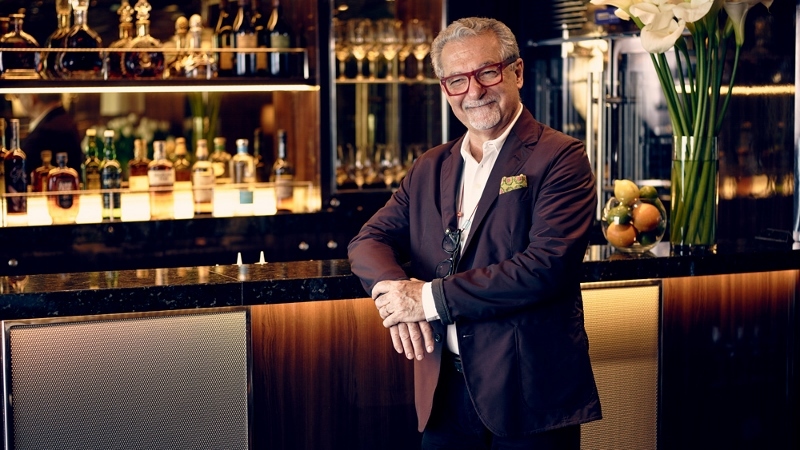 design legend Adam D. Tihany to create the indoor and outdoor guest areas of its two new ultra-luxury purpose-built expedition ships, being built by T. Mariotti and due to launch in June 2021 and May 2022 respectively. The designer was the creative force behind the luxury yacht-inspired interiors on Seabourn Encore and Seabourn Ovation, the line’s two newest ships, which have been welcomed to the fleet to wide acclaim. He also designed interiors for The Grill by Thomas Keller restaurant on Seabourn Odyssey, Seabourn Sojourn, and Seabourn Quest. Tihany has created iconic hotel, restaurant and cruise interiors around the world, including The Beverly Hills Hotel, The Breakers Resort in Palm Beach, Belmond Hotel Cipriani in Venice, The Four Seasons Dubai DIFC, The Joule in Dallas and The Oberoi New Delhi. He was one of the first designers to collaborate with celebrity chefs, creating signature restaurant interiors for culinary stars including Thomas Keller, Wolfgang Puck, Daniel Boulud, Jean-Georges Vongerichten, Charlie Palmer, Heston Blumenthal and Pierre Gagnaire. For this latest project with Seabourn, Tihany will develop a design vision for the entire vessel including multiple expedition spaces and lounges; all categories of luxurious guest suites, a variety of dining venues; Spa & Wellness with Dr. Andrew Weil; outdoor deck areas; and the innovative and popular Seabourn Square multi-purpose space. Tihany’s Product Design arm is also designing a bespoke furniture collection for the expedition ship. As a known expert in hospitality, Tihany frequently lectures at universities and conferences around the world and currently sits on the advisory board of Israel’s Design Museum Holon. He served as Art Director of the Culinary Institute of America and is a former member of Pratt Institute’s Board of Trustees. As the newest overall ultra-luxury fleet in the industry, Seabourn’s intimate ships offer key elements that set the line apart: spacious, thoughtfully appointed all-suite accommodations, many with verandas and all 100 per cent ocean front. Kimpton Da An Hotel brings a new luxury hotel offering to modern Taipei (Taiwan). With its unique location in the heart of the Da’an District and an elevated, sophisticated design, the hotel opens as an urban sanctuary for the laid-back luxury traveller. access to local cafes, boutiques and galleries, while providing a welcoming environment decorated with artwork from local artisans. The hotel features 129 rooms and has been designed by Neri & Hu, the winner of MASION&OBJET Asia in 2015, a prestigious design accolade. Once guests enter the hotel, the lush greenery and sophisticated water installation, coupled with custom lighting, immediately offers guests a sense of calm. Kimpton Da An will enjoy Kimpton’s signature perks such as in-room yoga mats and a Morning Kick-Starter, as well as tea and coffee served in the lobby living room to energize guests. Guests can also take part in wellness morning yoga on the rooftop, free fitness and wellness classes or explore the city with complimentary bicycles. Home to The Tavernist restaurant, its culinary experience provides diners with contemporary dishes coupled with local touches and innovative cooking methods. The Tavernist embraces Taiwan’s organic movement and works closely with local farmers and food producers. The restaurant is led by Chef James Sharman, who has travelled to countless countries with his team and has sought inspiration from local cuisine around the world. To him, The Tavernist offers a place where guests can discover something new while feeling at home. IHG currently has 6 hotels operating under four brands in the Taiwan market including, Regent Hotels & Resorts, Hotel Indigo, Crowne Plaza Hotels & Resorts and Holiday Inn Express, with another 6 hotels in the pipeline. In the next few years, Kimpton is slated to open new hotels in Shanghai, Beijing, Sanya, Tokyo and Bali. The brand, which currently operates more than 60 hotels and 80 restaurants and bars across the United States, Canada, Europe and the Caribbean is also due to open a further five properties in Shanghai, Beijing, Sanya, Tokyo and Bali. Last November, the Kimpton Fitzroy became the first UK opening in London, with more in the pipeline. 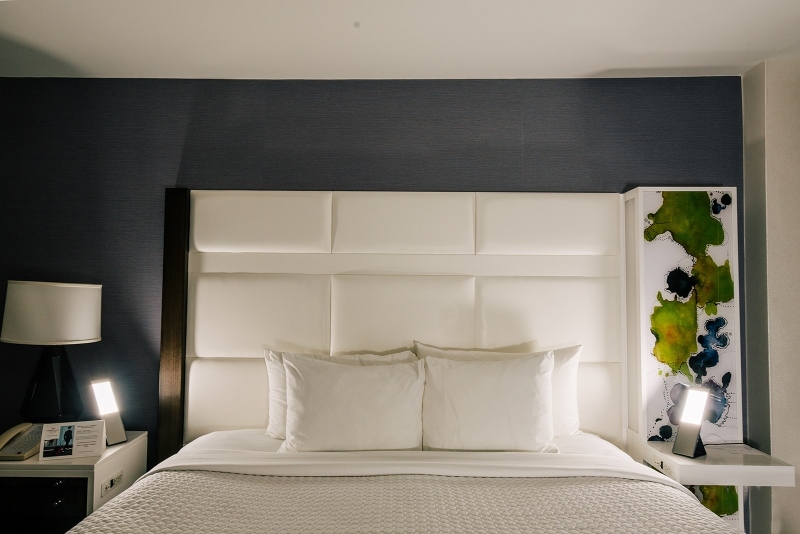 InterContinental Hotels Group (IHG) has partnered with Healthe® by Lighting Science, a global leader in innovative LED lighting solutions, to pilot the use of state-of-the-art circadian lighting to help guests sleep better while travelling. Crowne Plaza® Atlanta Airport will be the first IHG property to install the JOURNI™ Mobile Task Light in guestrooms. Designed using Healthe®’s patented GoodDay® and GoodNight® spectrum technologies, JOURNI allows access to the alertness and focus-enhancing spectrum during the day, and then easily change to the warm, sleep-enhancing spectrum at night. This versatile, dual-spectrum luminaire can help you to effortlessly bring energy-efficient, circadian lighting right to your hotel room. Ultimately, JOURNI also helps to regulate the body’s circadian rhythm or 24-hour internal body clock which effects important biological functions such as sleep, hormone levels, body temperature and metabolism. Crowne Plaza® Hotels & Resorts Sleep Advantage™ Programme has been designed to improve the quality of sleep during hotel overnights, improving the quality of the following day. The bed linens provide unbelievable softness and the programme’s unique This Works aromatherapy line contains pure essential oils that help the customer to recover from the day’s stress and to sleep more soundly. 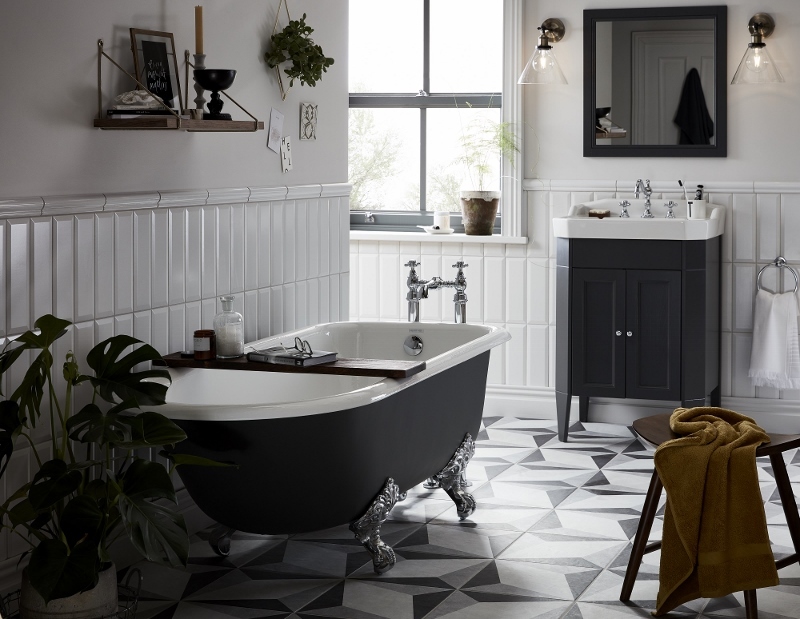 The inspirational design and interiors from Heritage Bathrooms put a spotlight on the statement design, which is a stunning example of how to blend old and new interiors styling. This look is on trend and full of character, creating a beautiful and timeless space that your guests will simply want to while away the hours during their stay. As evidenced by the Houzz-awarded design, it looks beautiful paired with bold, Baroque floral wallpapers. In honour of this trend, Charlie Williams, interior designer at Heritage Bathrooms, shares her top five tips on how hoteliers can create stunning bathroom spaces for guests by blending traditional and contemporary design. 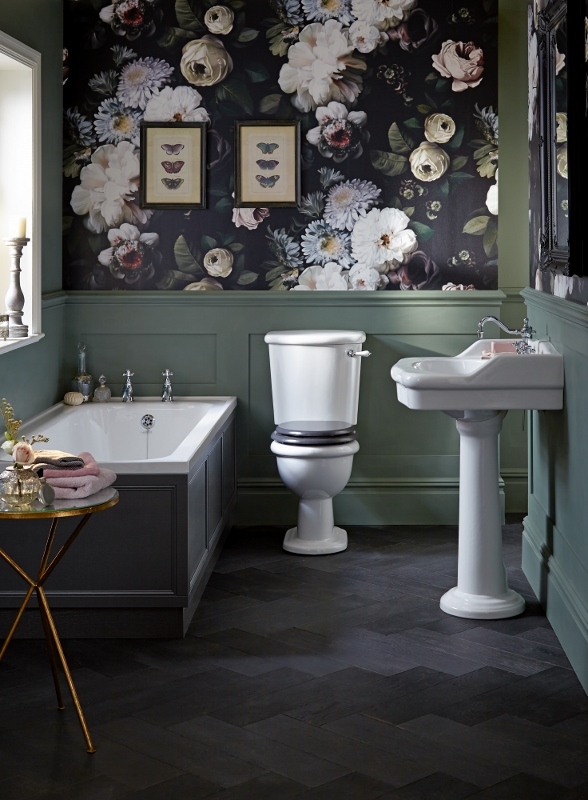 Elegant florals and bold botanical wallpaper prints can bring a traditional twist to even the most ultra-modern of bathroom suites. This image of the Victoria Suite by Heritage Bathrooms, which featured in Houzz’s Best of 2019, is a beautiful example of how patterned wallpaper can be used with a standard basin, toilet and fitted bath to create a sleek and charming look. Alternatively, traditional pieces, such as a Victorian style high-rise basin, can be off-set with on-trend geometric patterned tiling. Classic chequer board tiling is also guaranteed to bring a timeless aesthetic to any style of bathroom suite. Heritage Bathrooms is one of our recommended suppliers. To keep up to date with their news, click here. And, if you are interested in becoming one of our recommended suppliers, click here. Just as it is in hotels itself, design plays an integral part in the Independent Hotel Show. Here we pick up three top design trends as identified by design partners, exhibitors and speakers at #IHS2018. Over the years nature has played an important part in inspiring interior designers and as we move into the future, this will continue, particularly in the independent, boutique and luxury hotel sector where guests seek calm environments to relax in. “Any design with a connection to nature will be popular,” says Katja Behre, creative director of Elli Popp, design partner to The Innovation Stage which will feature a pink tropical leaves mural and floral displays from a designer at Kew Gardens. “People always feel comfortable with designs that connect them to nature – whether that’s plants, flowers, insects or animals,” adds Behre. The exhibitor’s Land of Milk & Honey collection of wall murals and wallpapers is inspired by English Victorian glass houses and is a fresh interpretation of the continuing trend in botanical prints. 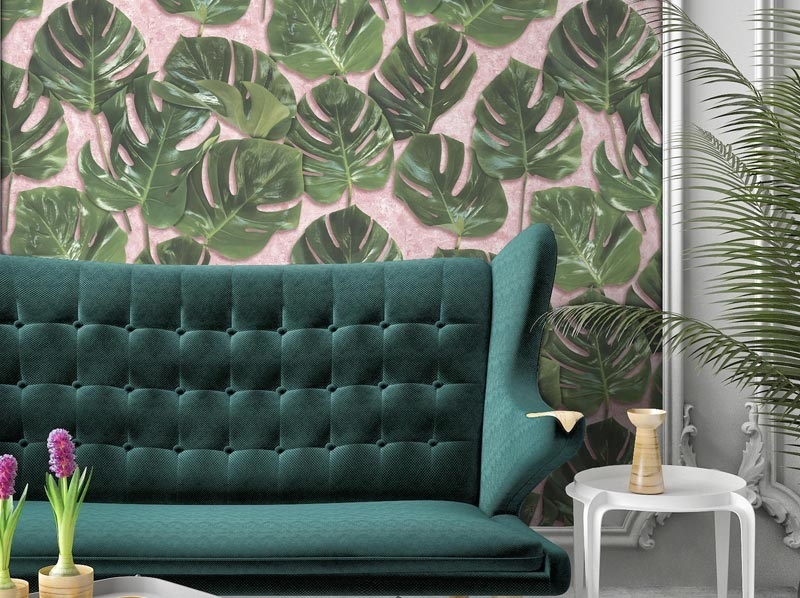 VIP hoteliers, speakers, partners at this year’s Show will be able to see the natural escapism look portrayed at The Suite where contract furniture manufacturers Valdivian promise to transport attendees to somewhere ‘between reality and imagination’ with deep purple and green walls accented with floral murals. While the pressure may be on to champion the latest interior design trends, conversely, it is the hoteliers who shun the hottest design trends and opt for classic, well-made furnishings who are truly the trend-setters. “Invest in quality. Guests may not see it, but they will feel it,” says Rebecca at Cappellini, design partner to central networking space The Lobby at the Independent Hotel Show. For inspiration, look to companies such as flooring specialist Tarkett – exhibiting at this year’s Independent Hotel Show – with its Desso Carpet Collections. 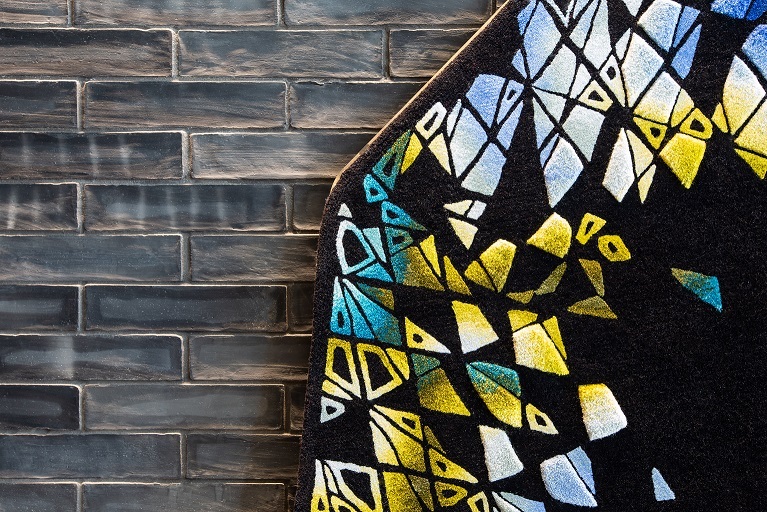 Its Axminster, Desso&Ex and made-to-measure rug collections are perfect for independent hoteliers and designers looking for quality, durability and design. “The future of hotel interior design will continue to have the luxe factor with opulent fabrics taking centre stage,” says Nick Sunderland of Two’s Company Interior Design, the interior design company responsible for putting together exciting new live installation ‘The Hotel Room of The Future’ at this year’s Show. The rise of leisure travel, mobile working and more flexible working patterns means that guests will be using hotels in more diverse ways in the future. Daniel Corney, director at Compact Workspace, an exhibitor at the Independent Hotel Show 2018, says to improve the design of their property a ‘hotelier needs to consider different guests’ wants and needs’ so advocates the selection of flexible furniture so that space can easily be adapted for use at any event – from a conference to a wedding. For hotels without conference and event space, the same notion of flexibility applies. The same flexible approach can also be applied to interior design, says Woodchip & Magnolia’s Nina Tarnowski who sees a big movement towards utilizing the fourth wall – the ceiling. “It’s been popular for several years in interior decorating, but mostly confined to the use of paint. We’re being asked to create wall murals and papers specifically for high impact statement ceilings from interior designers, and it’s an exciting trend,” she says.